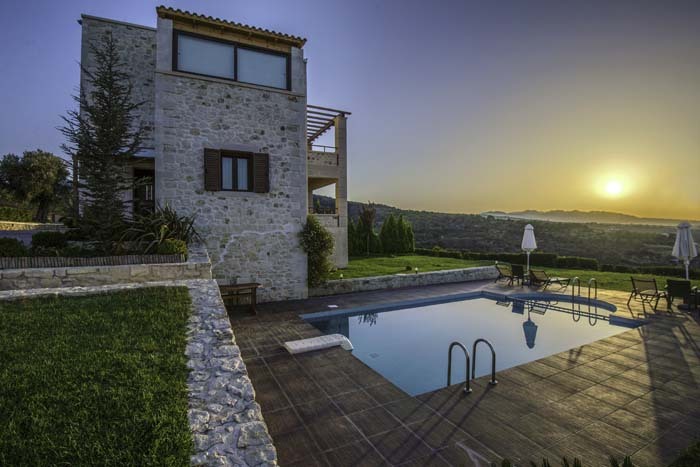 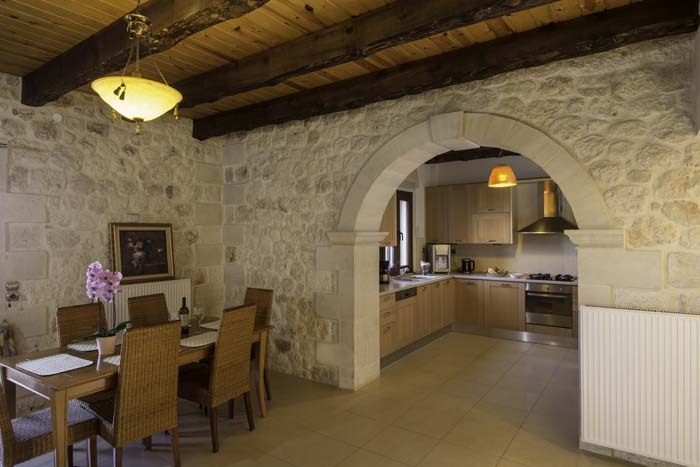 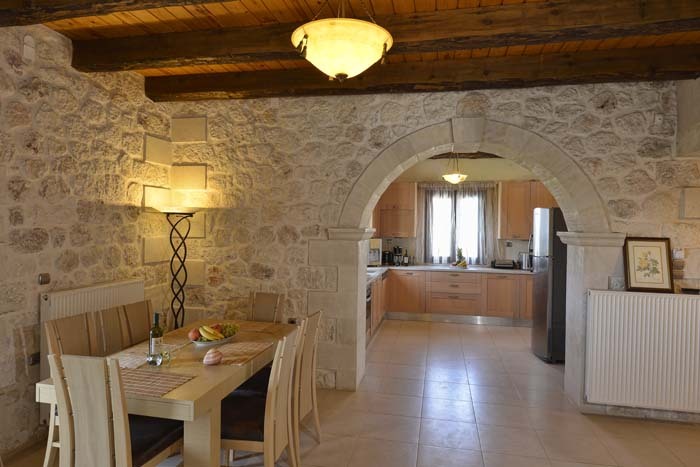 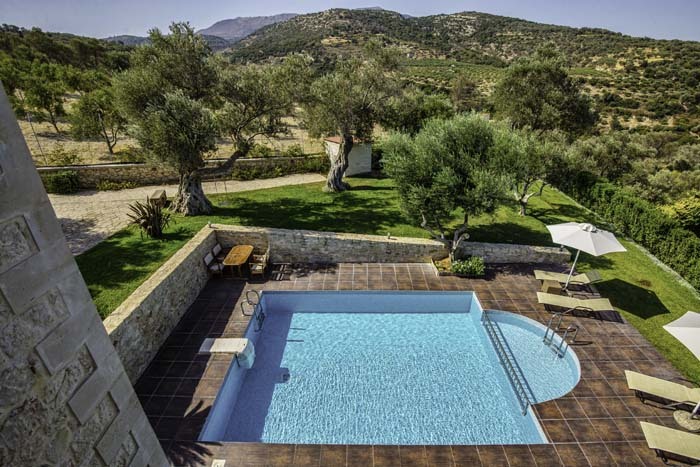 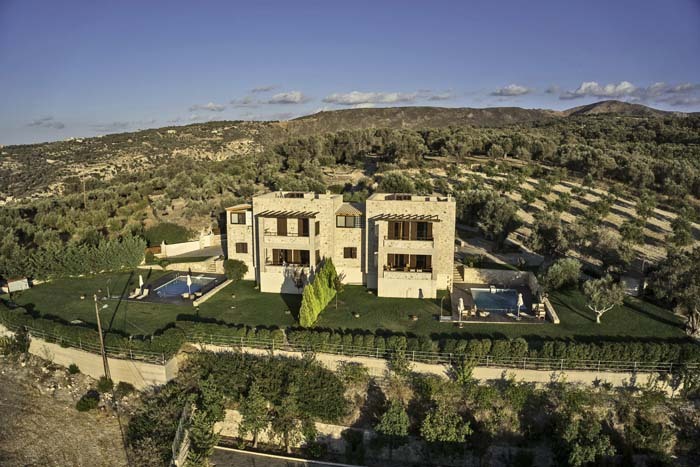 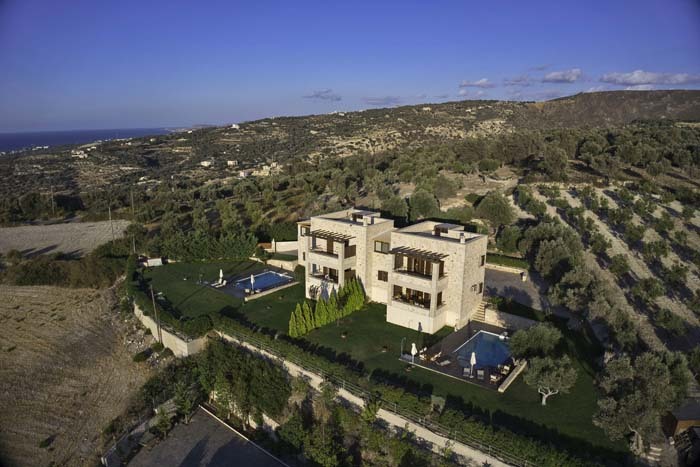 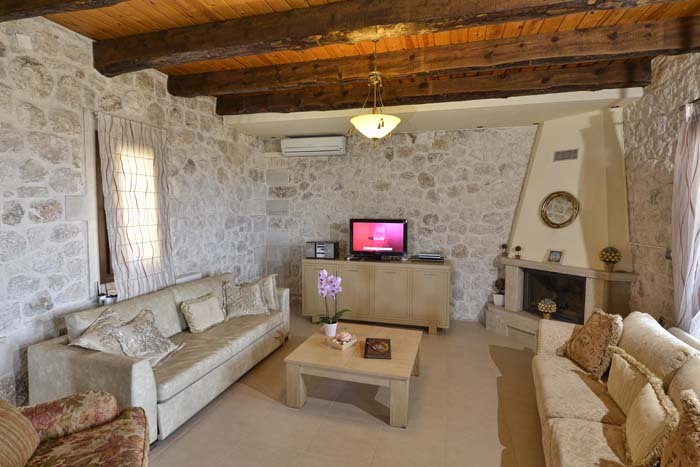 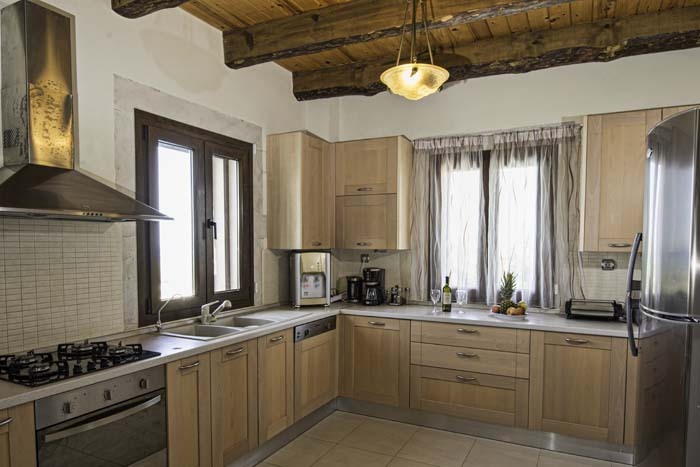 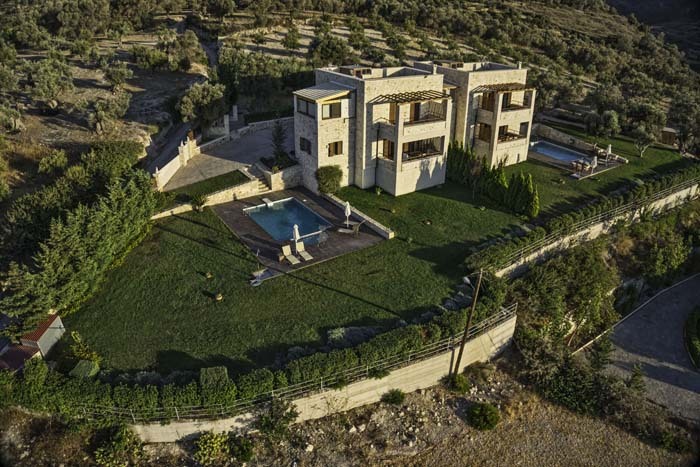 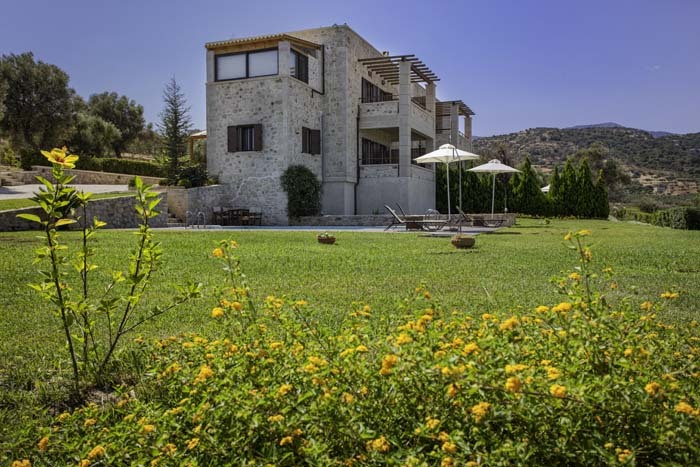 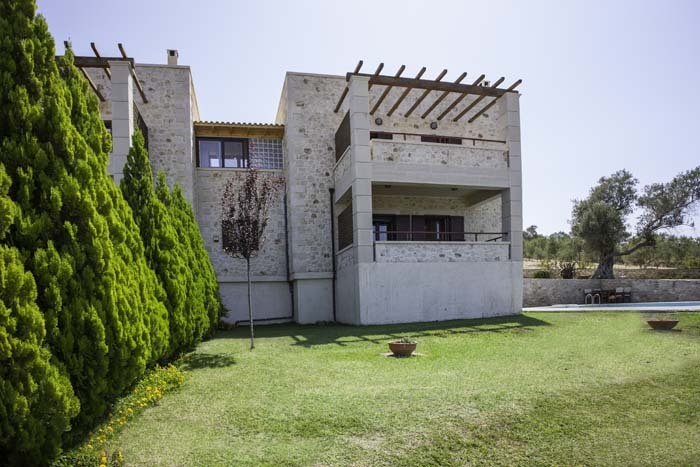 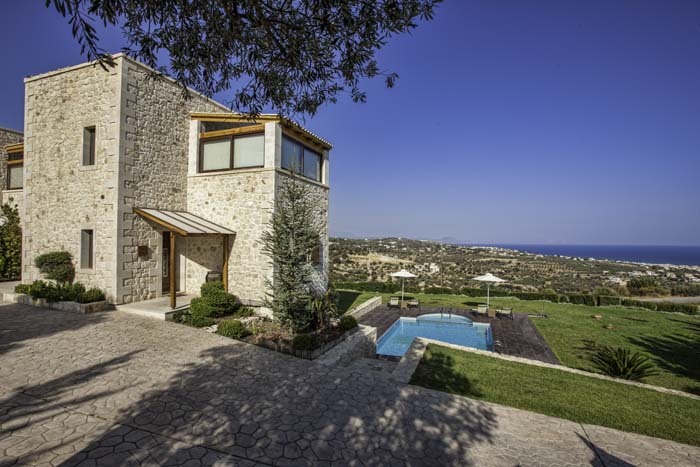 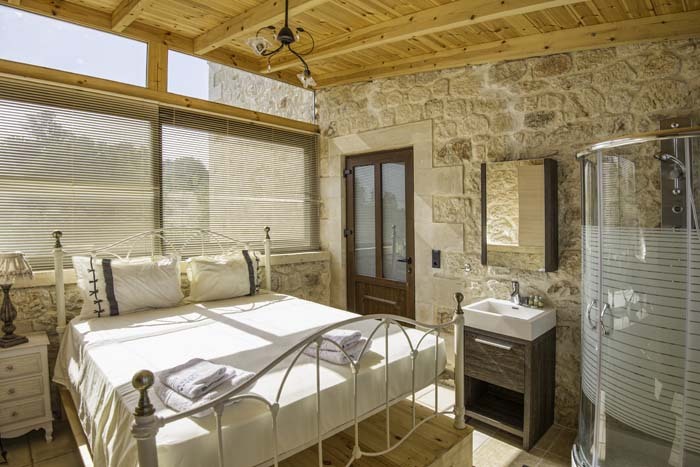 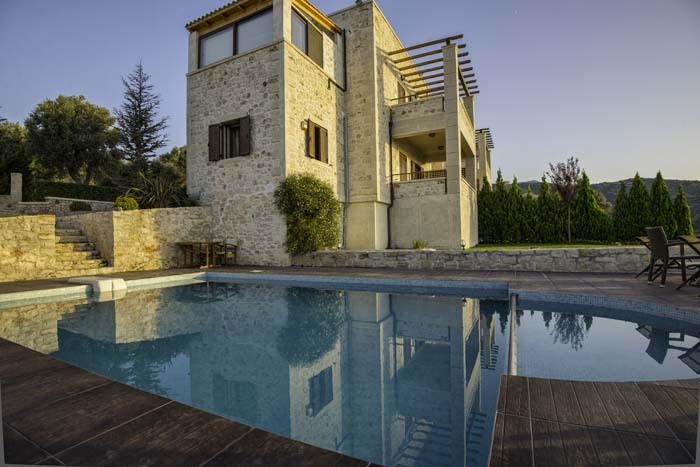 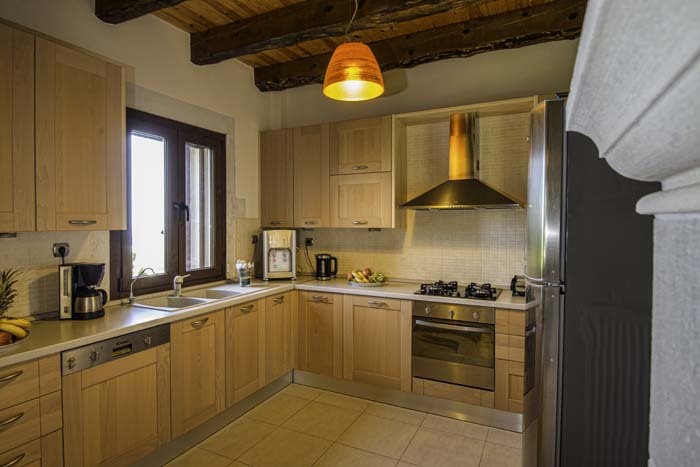 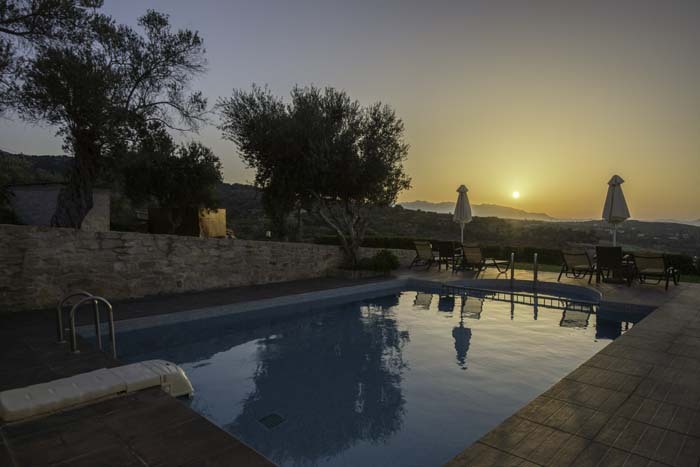 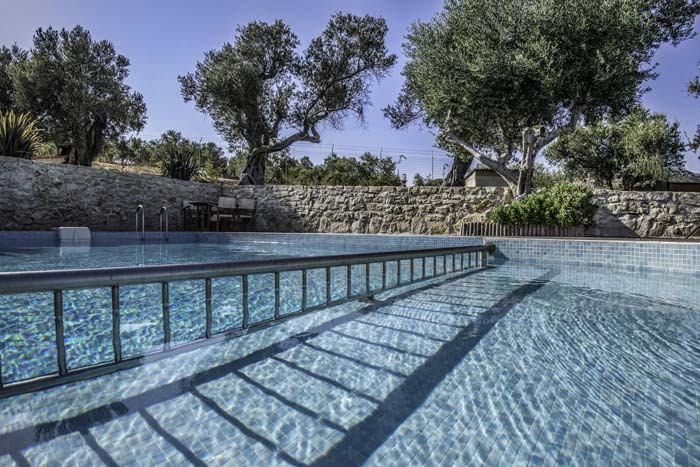 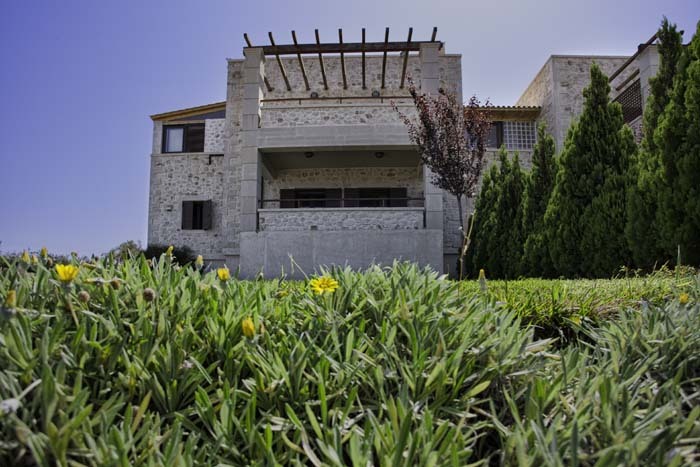 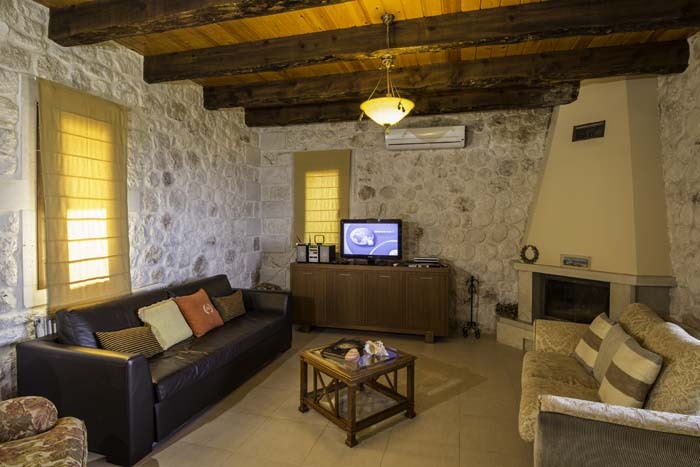 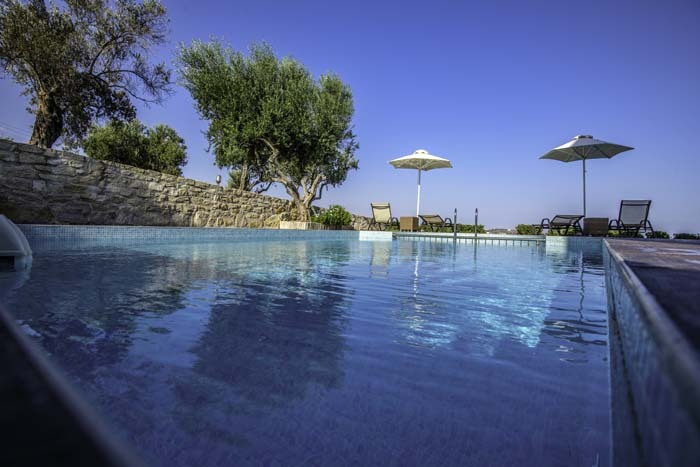 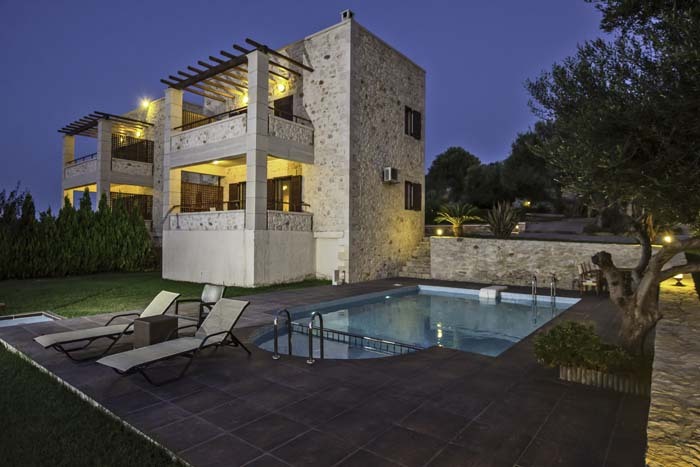 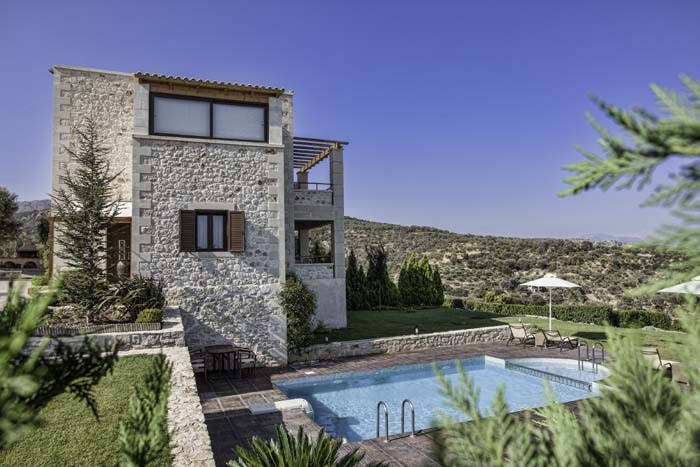 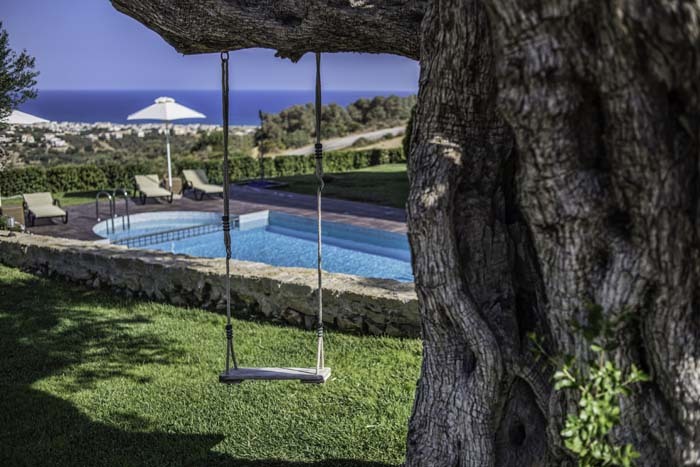 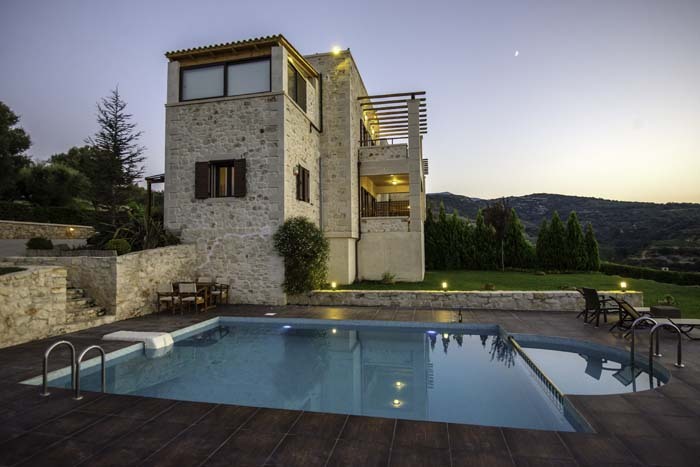 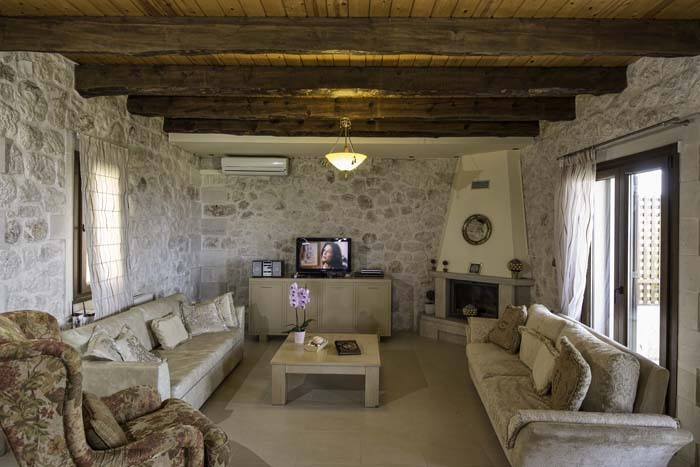 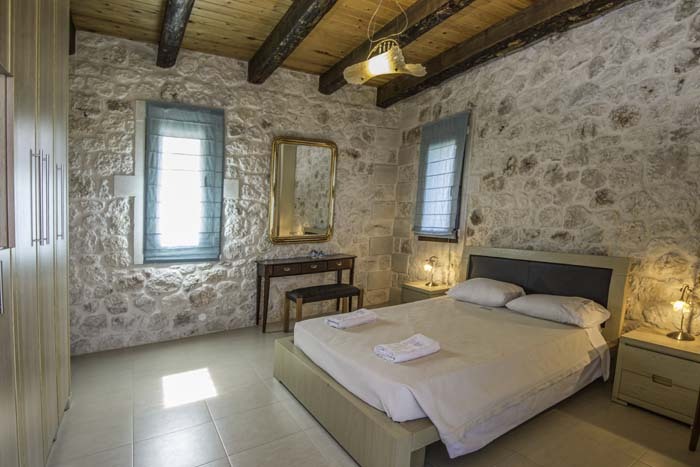 Each villa (Armonia and Dafni) have a 150sqm interior area and are built on two levels. 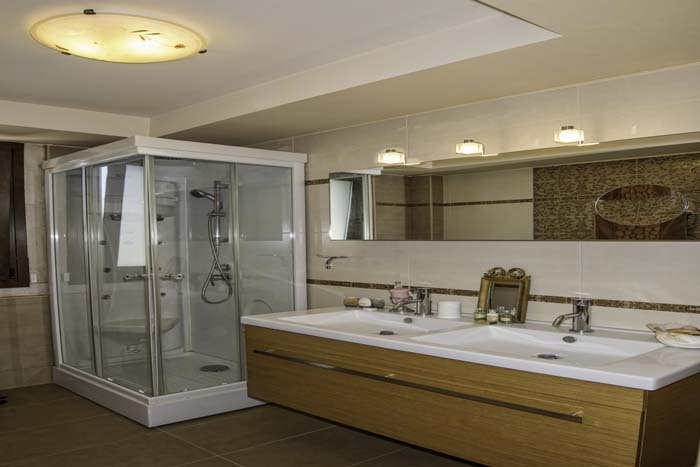 The layout and facilities are identical, they only difference is the decoration. 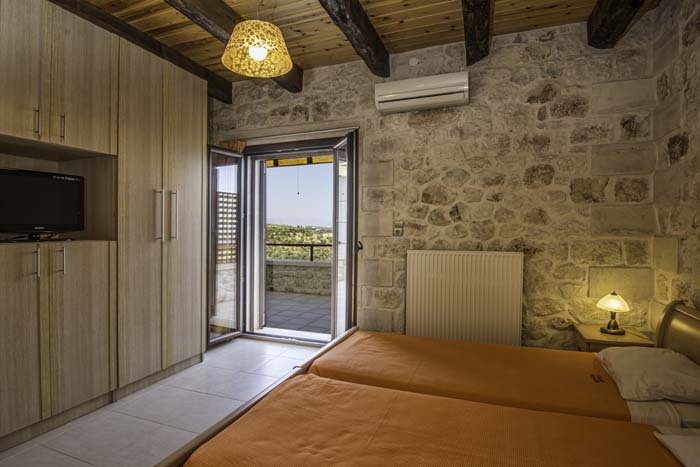 The ground floor consists of living area with a sofa that can open and form a double bed, a dining area, a fully equipped kitchen and a bathroom with a Jacuzzi shower. 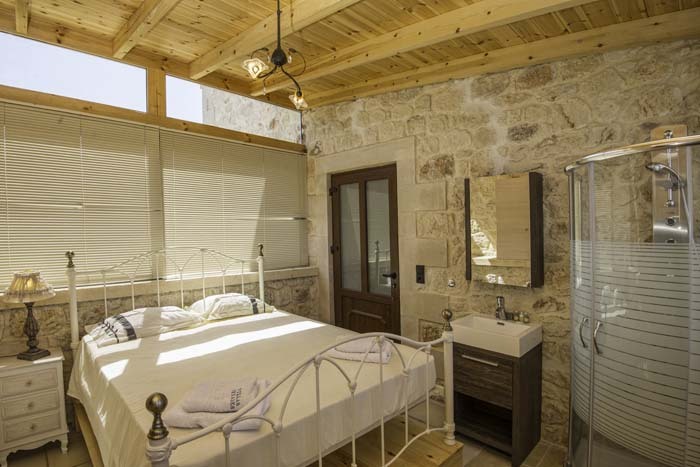 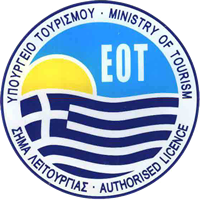 On the first floor there is a double bedroom which has in the room a Jacuzzi shower and washbasin (no toilet) and two more bedrooms –a double and a twin- each with access to a balcony. 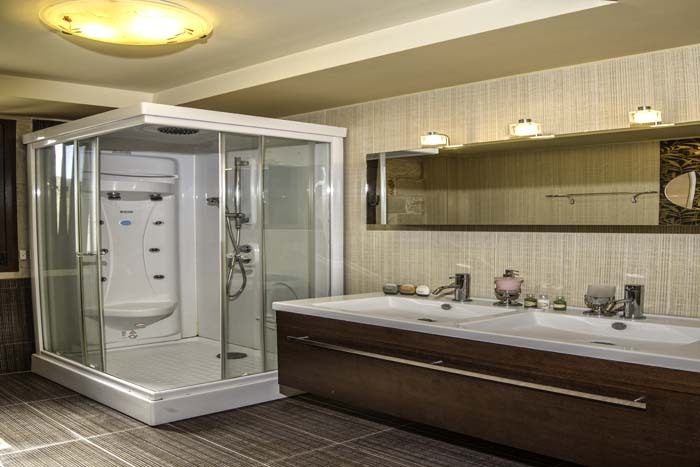 On this level there is also one more bathroom with a Jacuzzi shower. 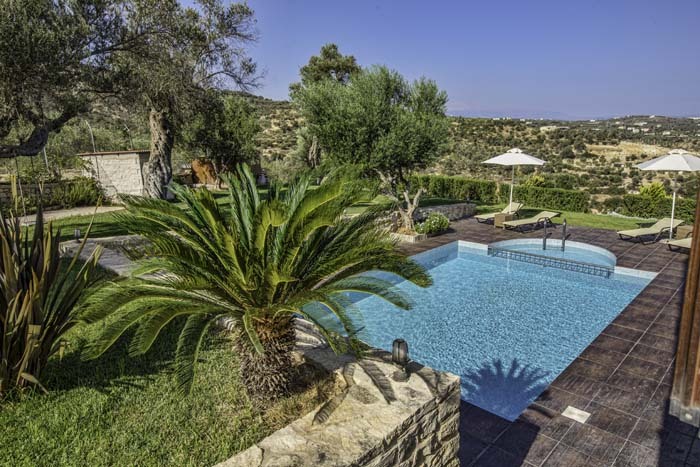 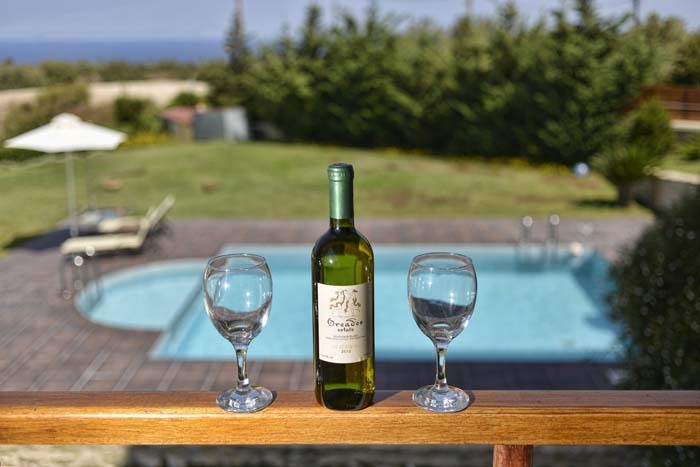 Each villa has a private ecological (no chlorine) swimming pool with a Jacuzzi, sun beds to relax and enjoy the sun and umbrellas. 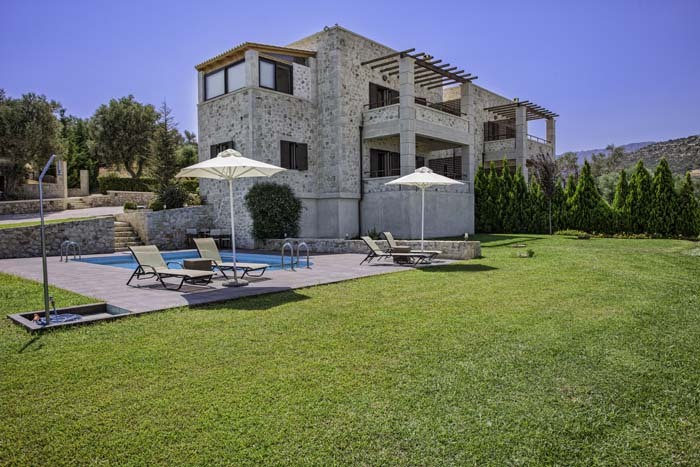 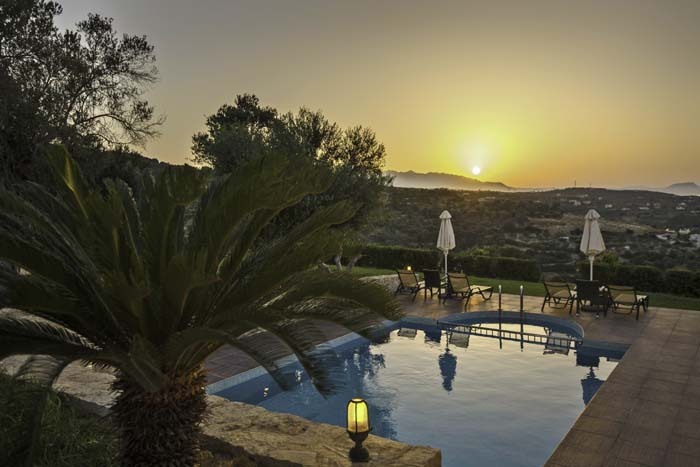 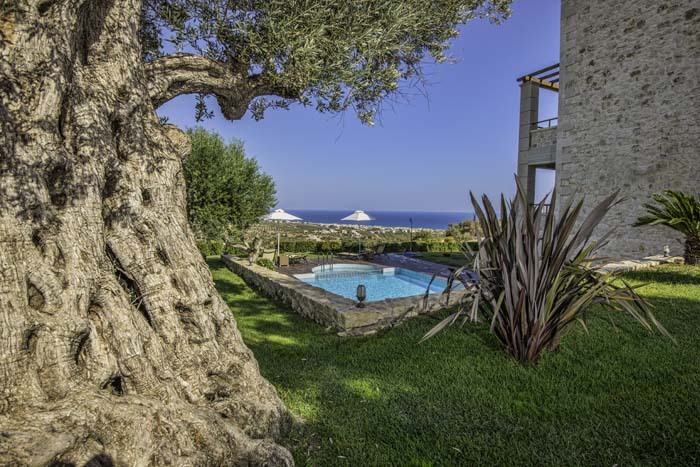 The villas are surrounded by a beautiful and big lawn garden with plants and organically grown fruit trees. 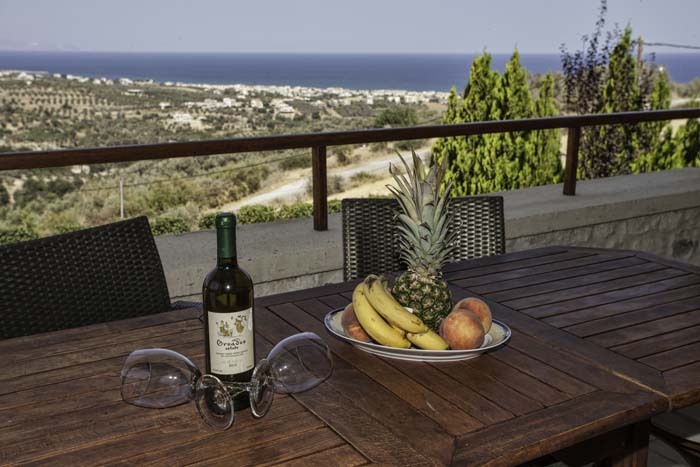 They also offer a BBQ, an outdoor sitting and dining area and a private parking space. 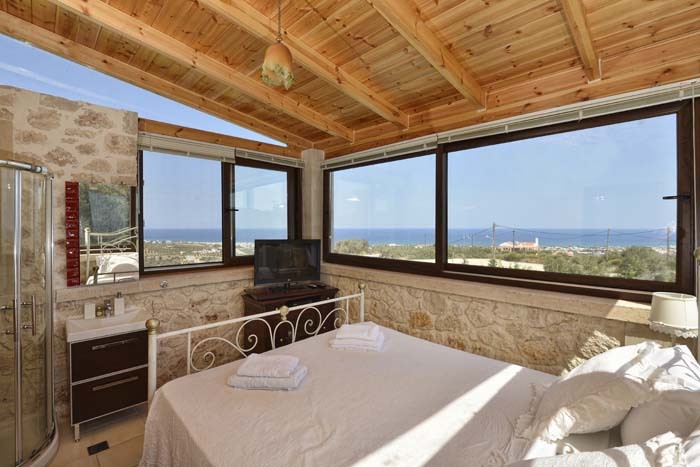 The views from Villas Oreades are panoramic and uninterrupted, allowing you to enjoy the beautiful landscape and the blue sea.